Our experienced pre-press team provides the guidance necessary to make a smooth transition from a graphics file to a printed package. We are equipped with the latest tools to manage today’s complex files. 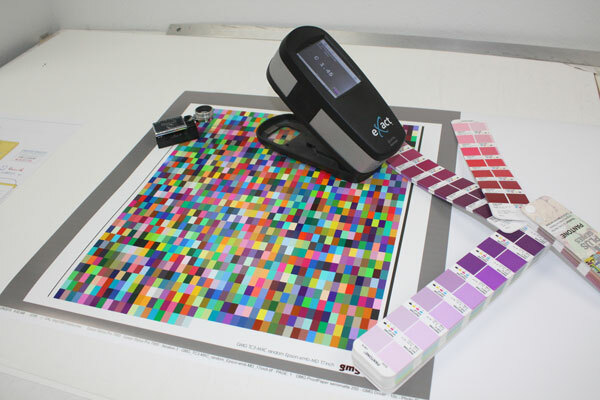 We offer a complete color management system and digital proofing capability to assure a successful outcome on press. Wausau Container is well positioned to manage the details for you. Along with our expertise, we provide excellent turnaround times, allowing your project to keep moving forward with the confidence you need to serve your customers. We utilize the latest Adobe Creative Suite along with advanced and robust separation software and equipment. Although Illustrator and Photoshop are the preferred formats, we are equipped to handle virtually any file format. Please remember to include all images and fonts when submitting files to help speed the processing. If you have further questions regarding our print specifications or file formats please contact us.